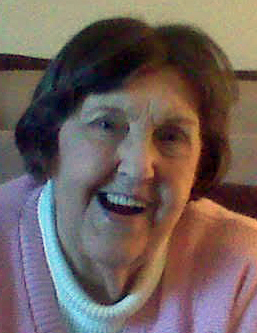 Hastings resident Mary Lou Vawter, 91, went home to be with her Savior on Saturday, April 13, 2019, at Mary Lanning Healthcare, Hastings, NE. Services are 10:30 a.m. Monday, April 22, at Berean Bible Church in Hastings with Pastor Paul Knott officiating. Burial will be at Parkview Cemetery in Hastings. Visitation will be one hour prior to service at the church. Memorials may be given to Berean Bible Church. Mary Lou was born October 23, 1927, into a family of nine siblings to Earl E. & Eva (File) Sturgeon. She attended a country school in Hillsboro, IL and after graduation, she moved to Springfield to work as a secretary. She soon married John Vawter and moved to Long Beach, CA. They adopted two children, Rosemary and Scott. Eventually, she moved from Springfield, IL to Hastings, NE. Mary Lou loved Jesus and shared about Him often. She loved her family and her friends at Berean Bible Church. She enjoyed living at Goldbeck Towers and the friends she made there. Mary Lou liked any kind of crafts, puzzles, and crosswords. She passed away peacefully looking forward to seeing her Jesus face to face. Mary Lou was preceded in death by her parents; husband, John R. Vawter; and siblings, Howard Sturgeon, Lois Branham, Bruce Sturgeon, Edward Sturgeon, Dorcas Fergusson, James Sturgeon, and William Lee Sturgeon.